Your Path to Personal and Professional Success. 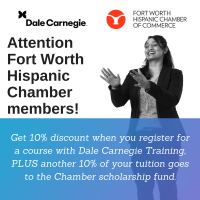 Fort Worth Hispanic Chamber of Commerce members can now take advantage of an exclusive membership benefit through our partnership with Dale Carnegie of North Texas. FWHCC members are eligible to receive 10% off select Dale Carnegie training. In addition, for every training package purchased through our partnership, Dale Carnegie will donate 10% back to the FWHCC Scholarship Fund benefiting local students. It's a win-win for all! Discount will be applied to invoice. 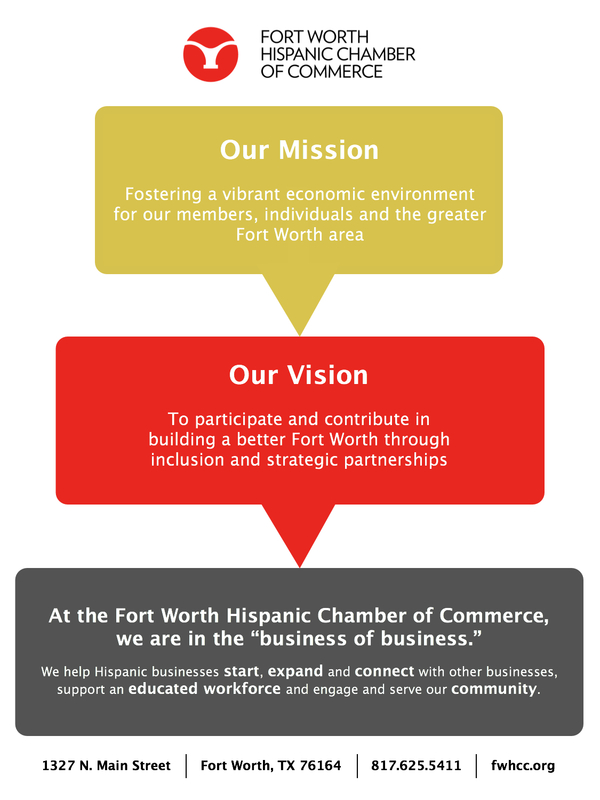 For more information, contact Sandra Garcia at sandra.garcia@fwhcc.org or call FWHCC at: 817-625-5411.